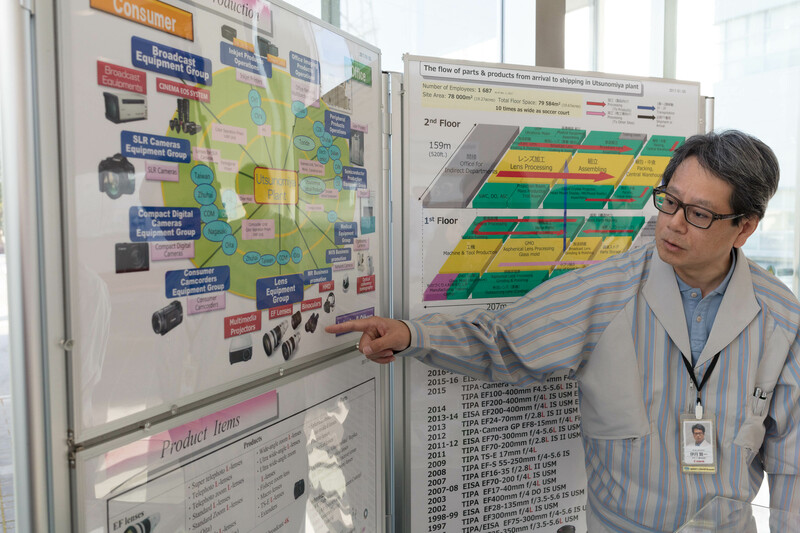 Recently, following the CP+ 2017 show in Yokohama, we were granted the enormous honor of a guided tour through Canon’s Utsunomiya lens factory. Canon has been making lenses in Utsunomiya since 1977, and we were the first journalists ever to be allowed to see the L-series assembly line. 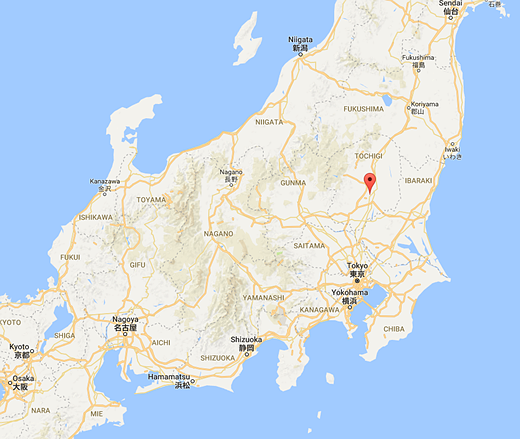 Utunsomiya (indicated with the dropped pin) is the capital and largest city of Tochigi Prefecture, in the northern Kantō region of Japan – about 80 miles north of Tokyo. 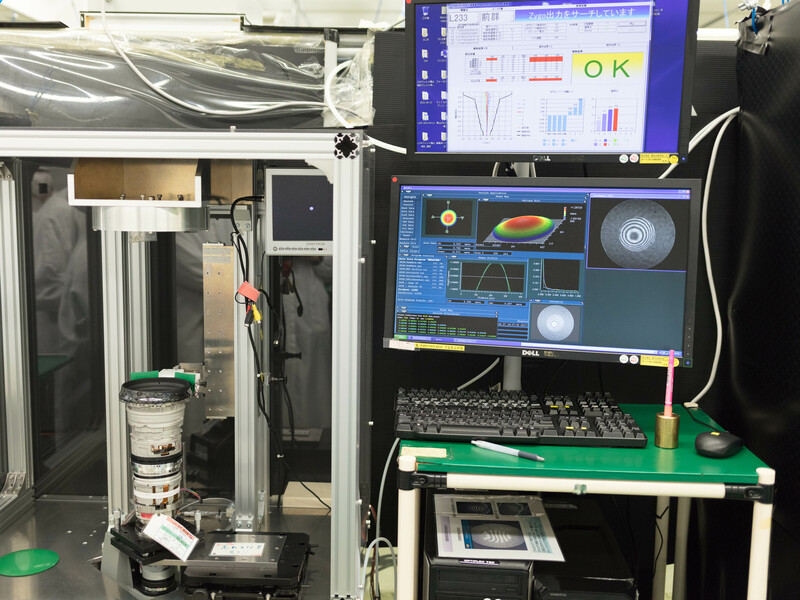 On February 27th, we made our way from Yokohama to Utsunomiya in the company of several representatives from Canon Inc., and our friends Dave Etchells and William Brawley from Imaging Resource. Click through this slideshow to see what we found. Plant Manager Kenichi Izuki introduces his team. 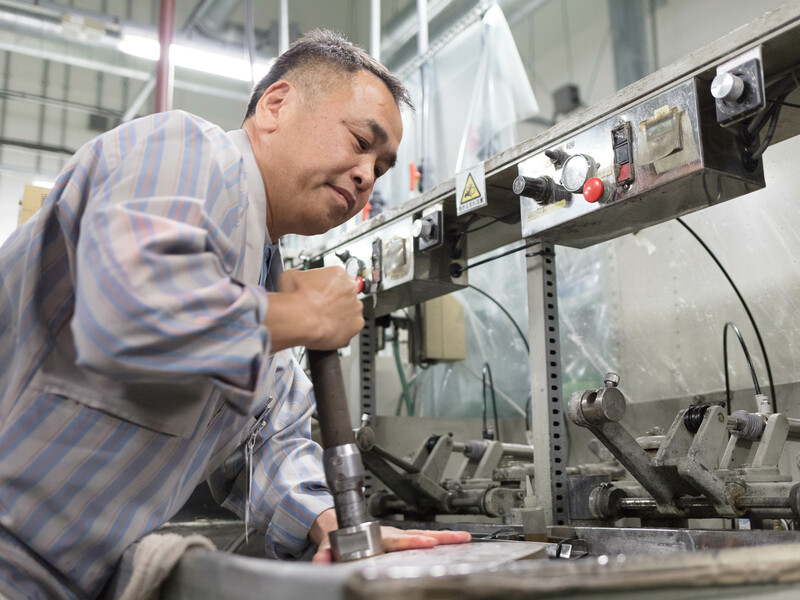 Of the six ‘Master Craftsmen’ within Canon, two of them work at the Utsunomiya plant. 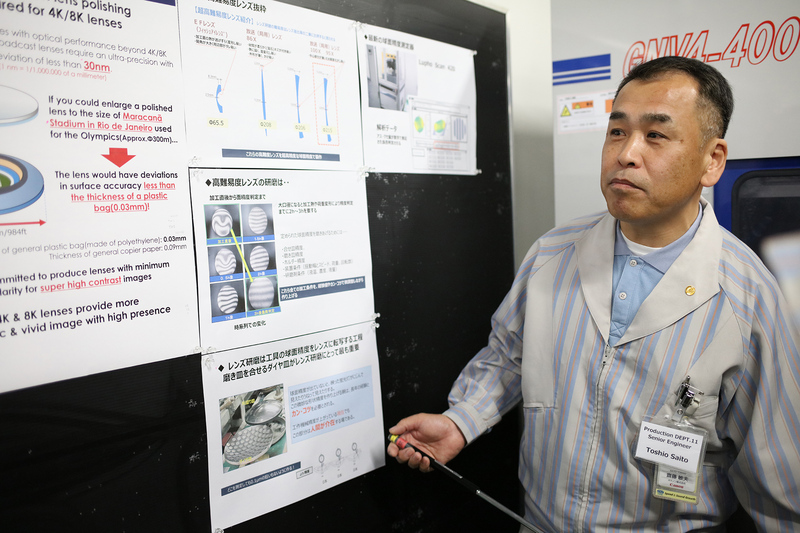 Mr Izuki explains what the Utsunomiya plant does. 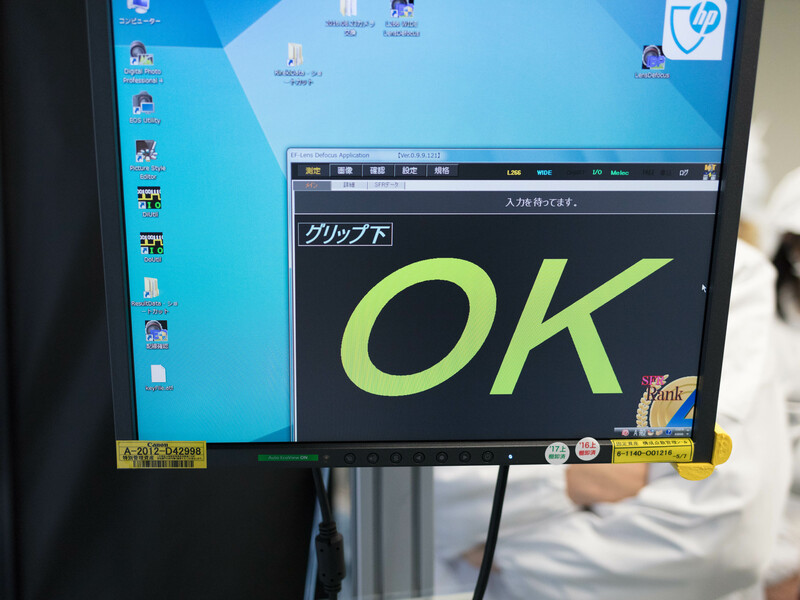 As you can see, several different families of products are manufactured in Utsunomiya, from high-end broadcast and EF lenses to components for office equipment. The 2-story plant itself employs around 1,700 people and covers an area of almost 80,000 square meters (roughly 20 acres). 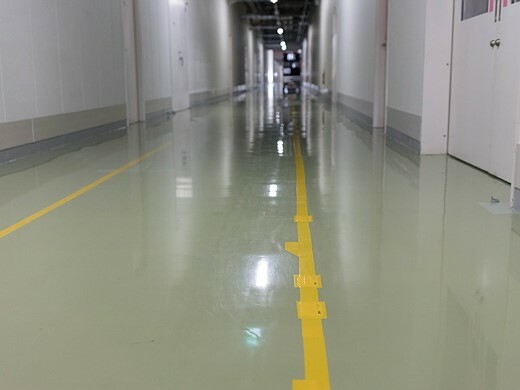 Painted yellow lines snake through the corridors of the Utsunomiya factory. These are ‘read’ by robotic carts that carry components to various parts of the plant on pre-programmed routes. Why, here’s one of them now! One of the two ‘Master Craftsmen’ at the Utsunomiya factory, Mr Saito explains the incredibly fine tolerances involved in the creation of 4/8K broadcast lenses. 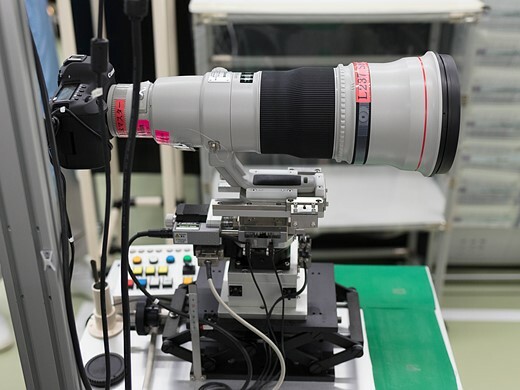 Canon claims a tolerance of +/-30 nanometers. As such, if one of the finished elements were scaled up to the size of an Olympic stadium, the surface variation would be no thicker than a plastic grocery bag. To make these lenses, first you must make the tools which shape them. In the foreground, on the left you’ll see a steel ‘prototype standard’. Every element in a broadcast lens was born here, from a prototype standard – effectively a ‘master’, rather like a shoemaker’s last, from which the element takes it essential shape. Canon stores thousands of them. 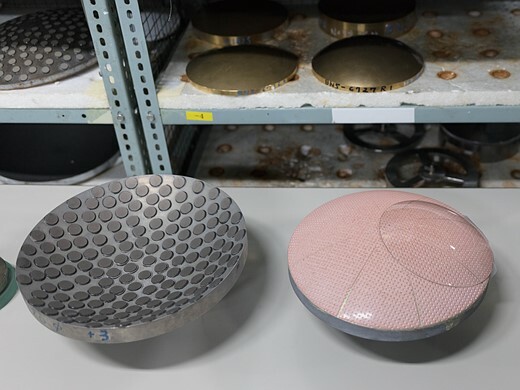 On the left is the diamond plate, which takes its shape precisely from the prototype standard. This is used to make the lens polishing tool. Each grey disk on the plate is a diamond grindstone. On the right is the polishing tool itself, with its array of polyurethane pads, which is used to polish a single side of each glass element. Each surface of every element takes roughly 90 minutes to polish, and this is done by hand. 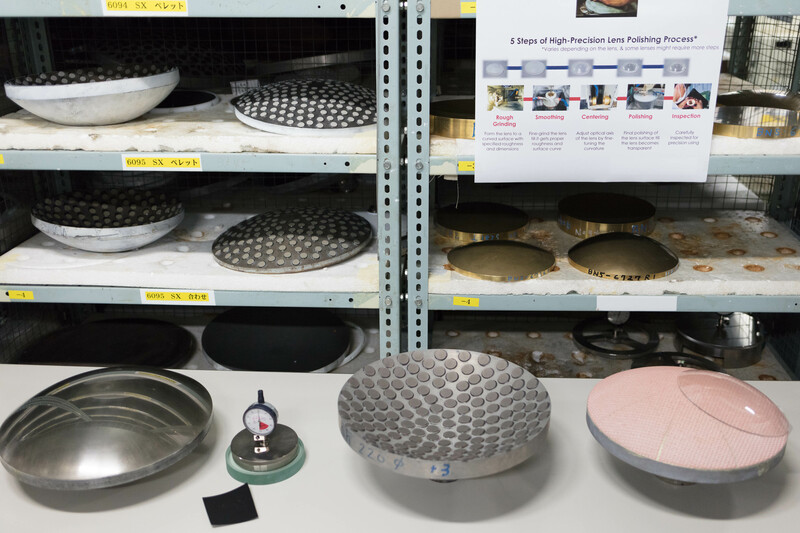 The grinding and polishing process of broadcast lens elements explained. A replica prototype standard, with a measurement tool on the right. 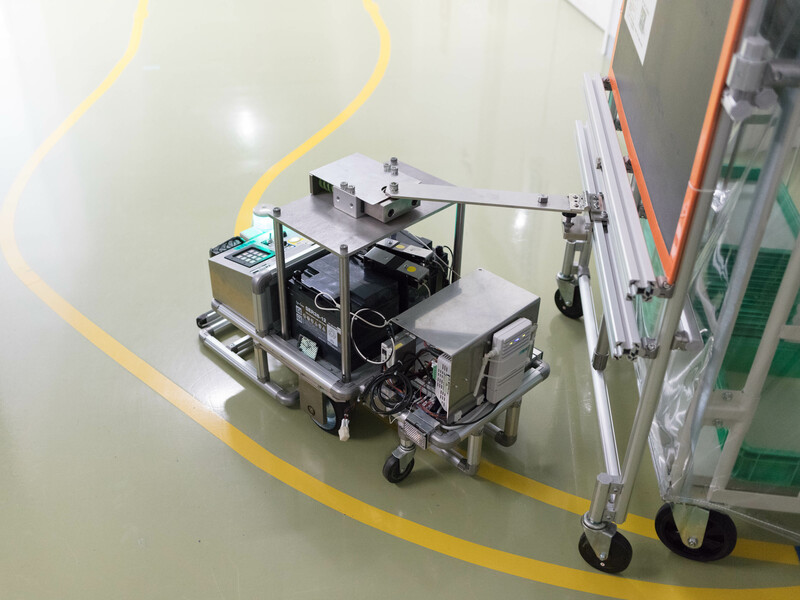 The tool is incredibly accurate, and is used to check for surface inaccuracies. Even a divergence of 0.1 microns (1/10,000th of a millimeter) from design parameters would be considered unacceptable. Mr Saito demonstrates how a diamond plate is shaped by hand, using a large (and very heavy) carborundum disk. With decades’ of experience, Master Craftsmen (or ‘Takumi’) can tell when to apply more or less pressure by feel alone. Some processes, like this one, are considered so critical that they must be performed by hand. 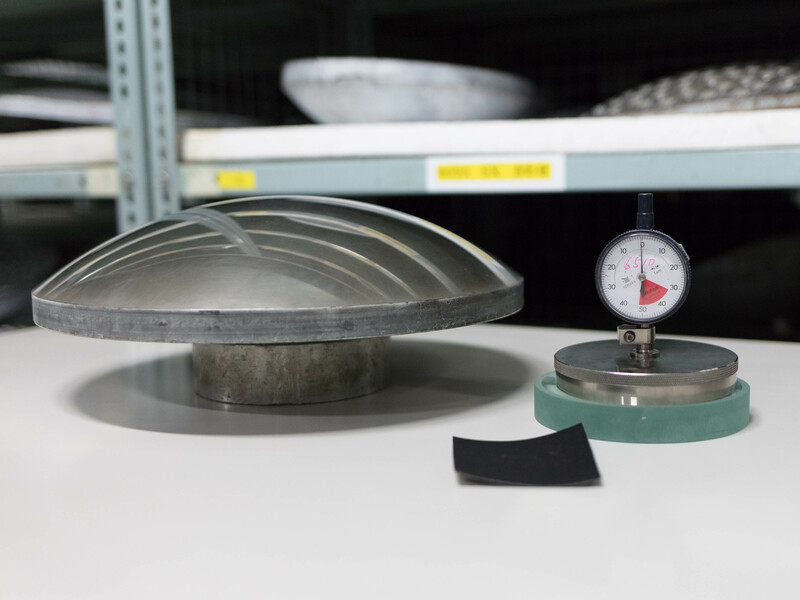 It typically takes between 25-30 years before a lens polishing technician attains the status of ‘Meister’, and their experience is essential to the production line. 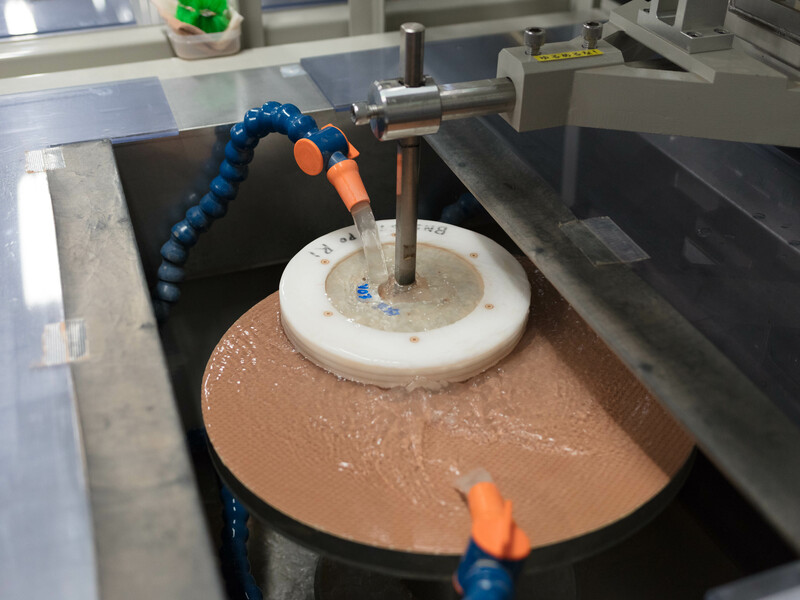 Here, an element is being smoothed. Afterwards it will be centered, and then polished. Every day, the manufacturing process uses 400 tonnes of water, which is purified and re-used continually in a ‘closed loop’ system. Not everything is done by hand. When it comes to EF lenses, Canon is expanding its automated manufacturing capabilities. We were extremely privileged to be shown this lens element polishing machine, which processes glass elements from a raw ‘cake’ of glass right through to final polishing, without any human intervention. During our tour, this particular machine was processing elements for the new Canon EF 16-35mm F2.8L III USM. From a raw cake of unpolished glass to a finished element the process of grinding, polishing and centering takes about 30 minutes. If this were done in the traditional (non-automated) manner it would take about 3 days per element. Here’s a single element from the Canon EF 16-35mm F2.8L III USM at the beginning of its life, as a cake of raw glass. This is what gets fed into the polishing machine. 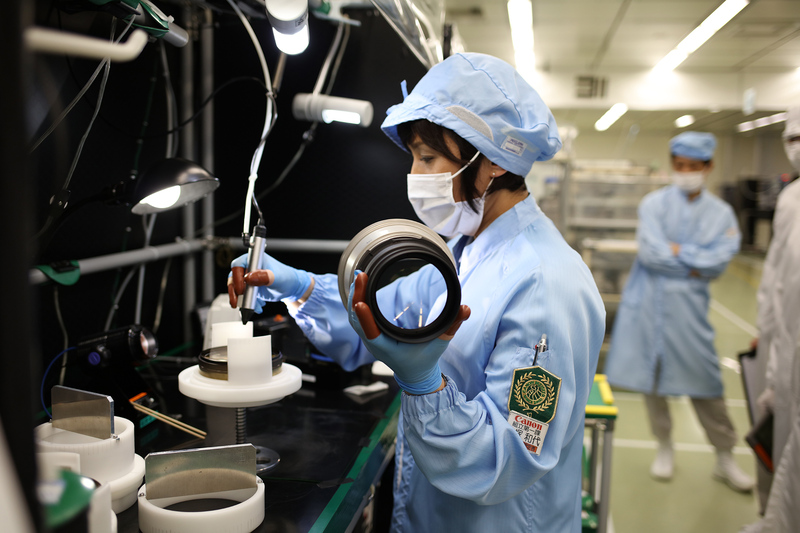 A finished element emerges from the machine every two minutes, and we’re told that all of the non-aspherical elements in the new Canon EF 16-35mm F2.8L III USM are processed in this way. Aspherical elements are produced using a separate high-precision molding process, which happens elsewhere in the facility, behind closed doors. Canon is at pains to point out that machines like this can only be created as a result of the Master Craftsmen’s decades of experience. 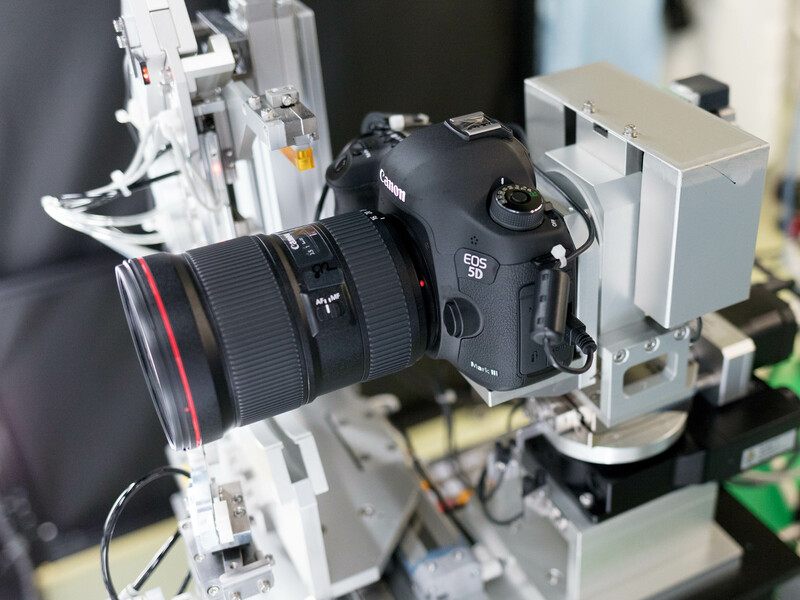 The machines themselves are made in-house too, by Canon’s Production Engineering Headquarters. Although there has been a factory on this site since 1977, Canon opened the current building in 2005. 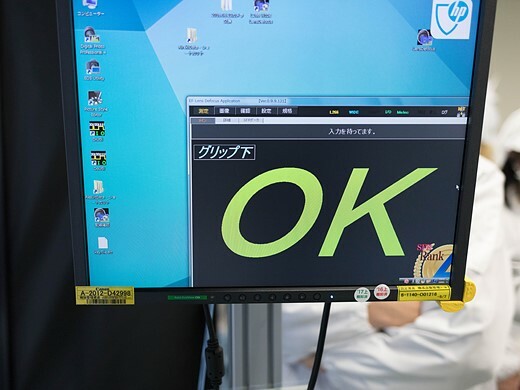 According to Masato Okada, Deputy Chief Executive of Image Communication Products Operations, this move provided an opportunity for Canon to completely revamp its lens production methodology. After watching elements being polished, the next stage of the tour is lens assembly. 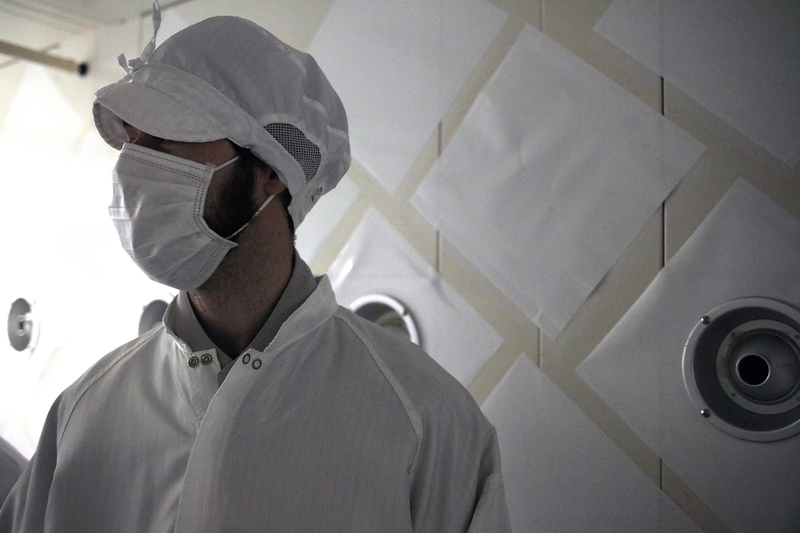 Before we set foot in this area of the facility, we need to don coveralls and take a cool, refreshing ‘air shower’ to make sure we don’t accidentally contaminate the production line. Here’s Barney, trying not to brush against the (sticky) walls of the decontamination room. 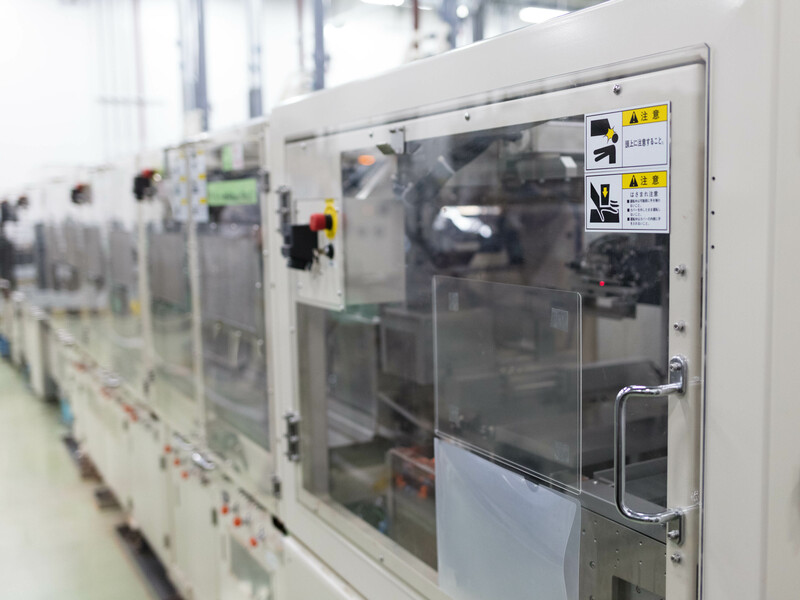 This area of the factory is where Canon’s high-end L-series lenses are assembled. Like the broadcast lenses, much of the assembly process for fast prime telephotos is still done by hand. Here, a Canon assembly line Meister (her badge tells us she’s been a Meister for 17 years) works on the front assembly of a telephoto prime lens. A finished EF 300mm f/2.8L IS II USM is checked by computer before its final housing is put on. ‘OK’ – this one passed! You can read up on Zernicke Polynomials here, if you like that sort of thing. 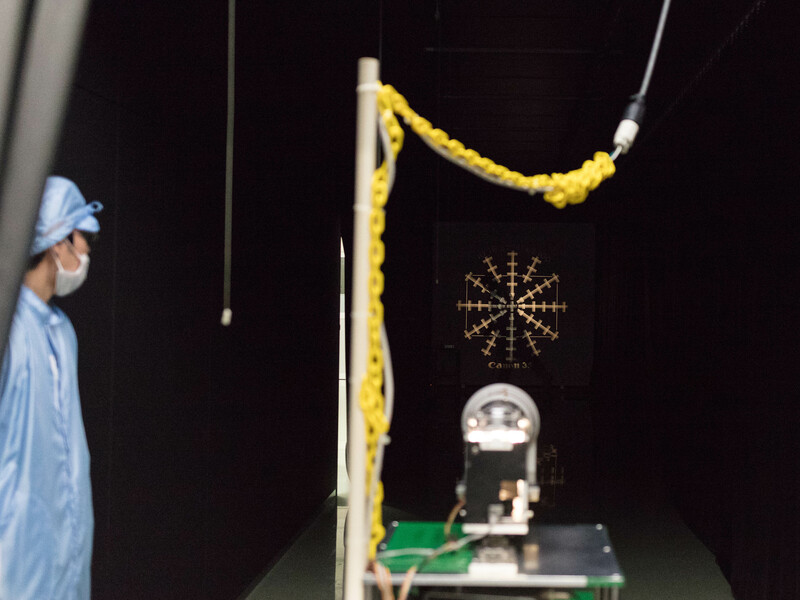 This finished lens is being checked on a computerized test rig, which measures the lens’s optical characteristics in three positions, across 48 points of a proprietary test chart (which we’re not allowed to show, sorry). The camera is a modified EOS 5D Mark III. We don’t know exactly how it’s been modified, but our guide mentioned some firmware and hardware differences compared to a stock model. 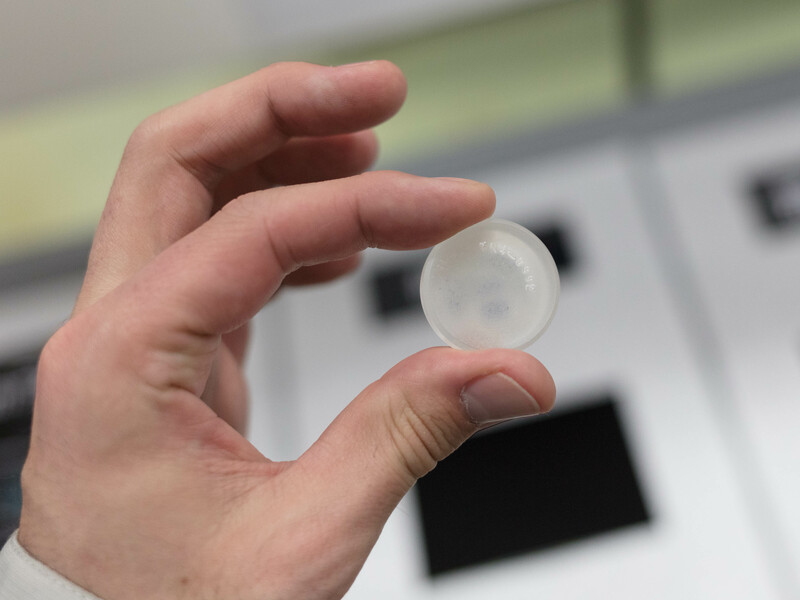 Interestingly, information about the lens’s optical characteristics is saved to a chip inside the lens itself. This data can be read and updated by Canon if and when the lens comes back for service. This allows information to be gathered about the durability of certain components over time and allows Canon to learn about long-term wear patterns. Although rarely-used now, some lenses are still occasionally tested partly by using the traditional ‘projection’ method. 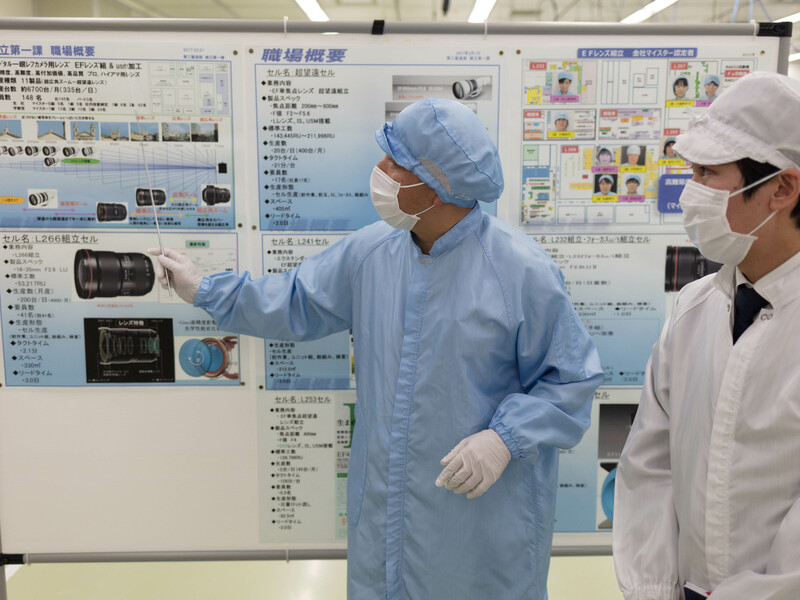 Here, in a darkened room off to one side of the assembly line a technician (just visible in the background, under the image of the chart) is inspecting the image projected through a telephoto prime lens. 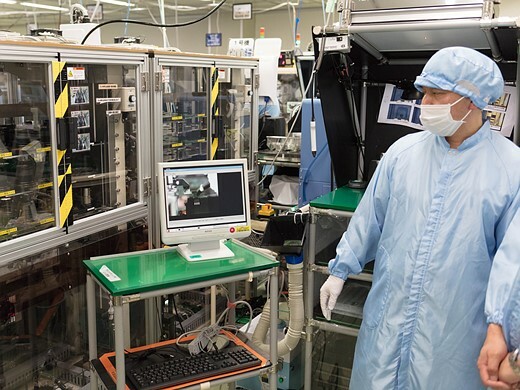 Increasingly, Canon uses automated assembly processes for its L-series zooms, which have a comparably higher sales volume than telephoto primes and broadcast lenses. Again, the new EF 16-35mm F2.8L III USM is at the forefront of developments in automation. Roughly 50% of the assembly process of this lens is automated and Canon tells us that, they’re aiming for 80% automation within a year. 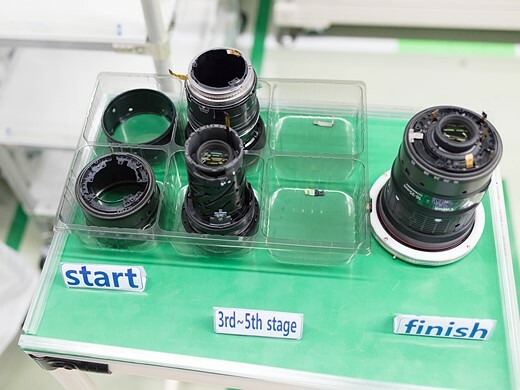 Because the non-aspherical elements in the EF 16-35mm F2.8L III USM are polished automatically, and 50% of the assembly process is done by machines, the amount of people involved in the manufacture of the new EF 16-35mm F2.8L III USM is relatively small. Roughly 10% of the manpower required if it were manufactured entirely by hand, we’re told. Here, the view from a tiny camera inside the assembly machine shows a technician what’s happening. A EF 16-35mm F2.8L III USM’s focus positioning brush switch is being installed – a highly delicate procedure which requires extremely precise positioning. Here’s another one of those modified EOS 5D Mark III lens checking cameras, this time hooked up to a finished EF 16-35mm F2.8L III USM. It passed! We get the impression that very few lenses don’t. 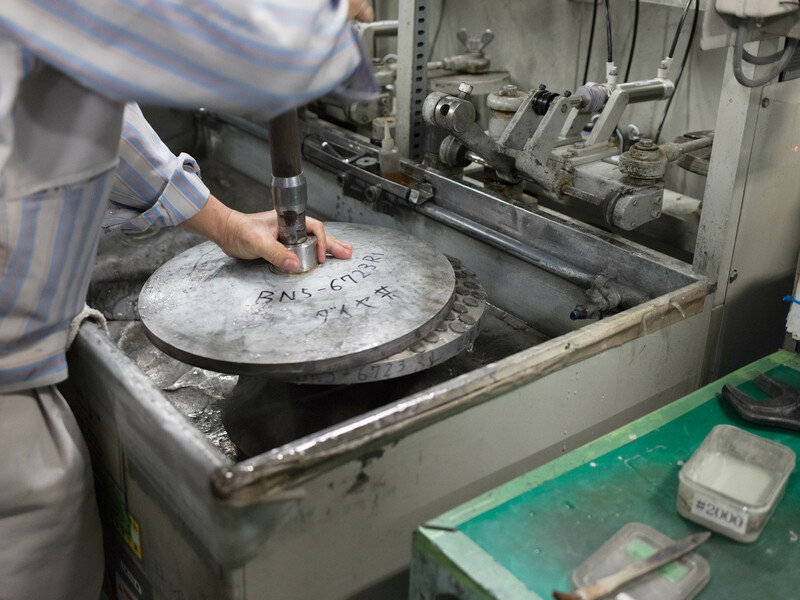 From start to finish, it takes roughly 24 (non-continuous) hours to manufacture each 16-35mm. It’s impossible to come away from Canon’s Utsunomiya plant without an appreciation for the vast amount of expertise employed by Canon in the manufacturing of its high-end lenses. One striking aspect of the assembly process of broadcast lenses is how many steps are deemed so critical that they must be accomplished by hand. In the broadcast lenses assembly line we were told repeatedly that ‘this process is too complex to be performed by a machine’. One of the reasons that Canon’s broadcast lenses are so costly is that as we saw, each element is hand-polished – often by someone with a minimum of 30 years’ experience. 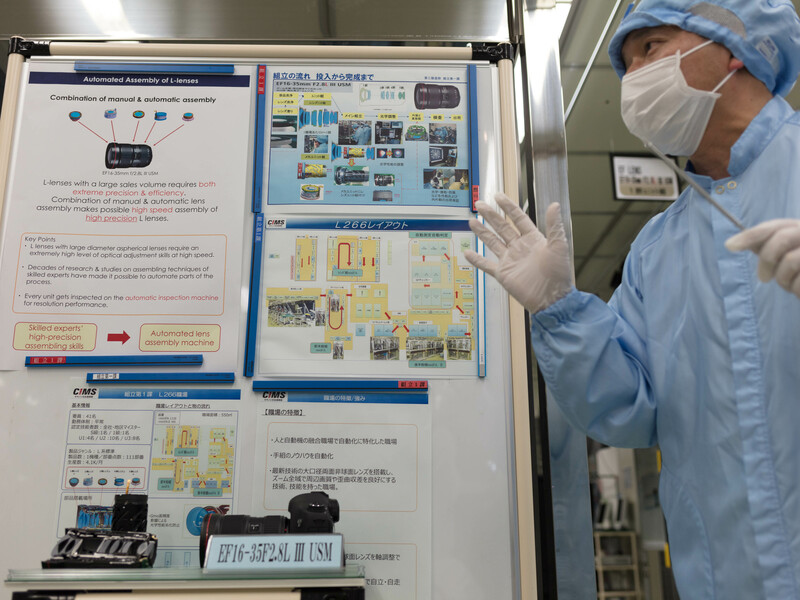 Internally, assembling one of Canon’s high-end broadcast lenses is considered among the most difficult jobs in its entire production line. Manufacturing high-volume EF lenses in this way would be impractical (the wait-times for new models would likely stretch into decades…) but even so, when it comes to fast telephoto primes, much of the process is still performed by hand. Perhaps most impressive though is the automation. 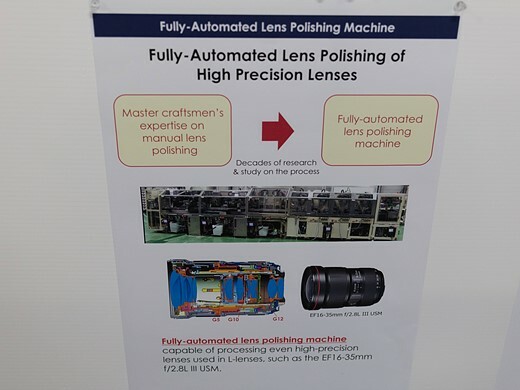 Canon has clearly invested a lot of time and energy (not to mention money) in automated lens polishing and assembly. 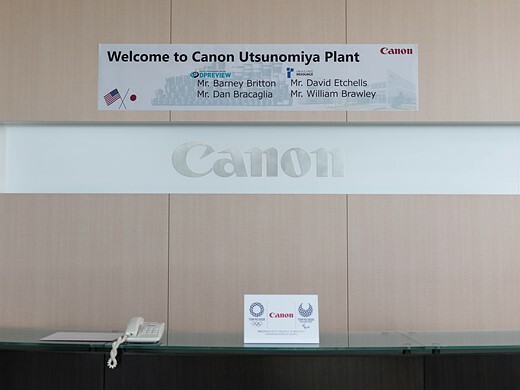 We’ve been lucky enough to visit several factories, run by several manufacturers, and Canon’s Utsunomiya plant is definitely the most advanced that we’ve seen. Automation of critical lens polishing and assembly processes makes perfect sense for mass-produced products, and anyone that still blindly fetishizes the words ‘made by hand’ should try shooting with the EF 16-35mm F2.8L III sometime. 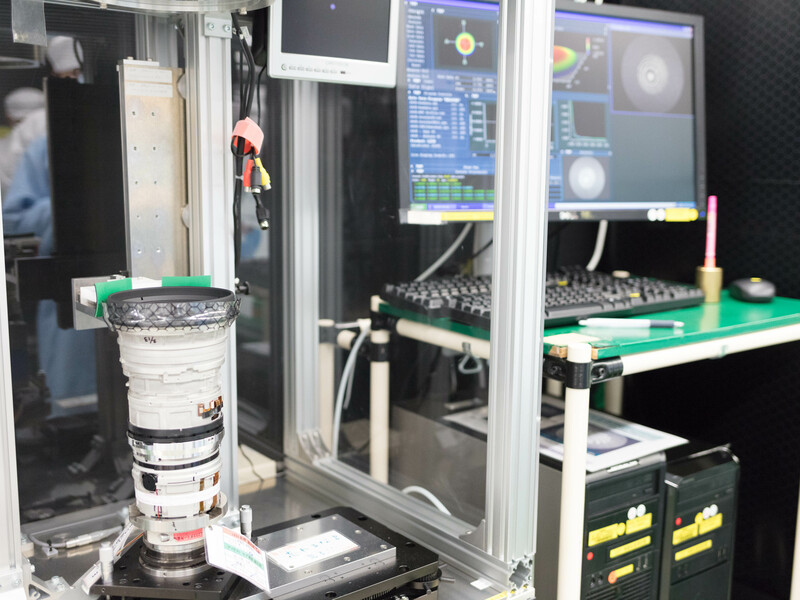 Canon’s self-calibrating lens polishing machines (designed and manufactured in-house) are capable of incredible precision, and the data gathered by automated testing and eventual servicing can be used in any number of different ways, to improve quality control over time. After watching the entire assembly process from lens element polishing to final QC checks, we’re most excited by the possibilities which emerge from Canon’s inclusion of a chip inside each recent lens, which saves data about its own specific optical characteristics. As well as data-gathering and long-term quality control improvement, this also opens up the possibility that at some point a lens’s specific optical characteristics might be made available to the camera to which it is attached. 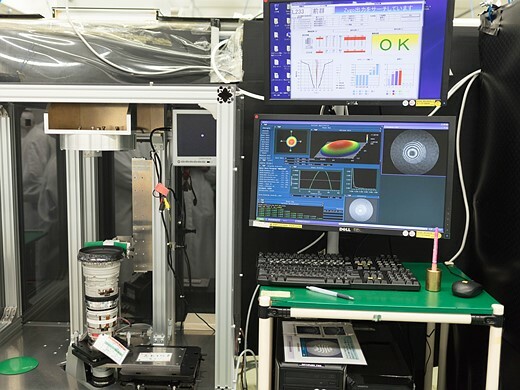 This could allow for automatic AF fine-tuning, or potentially even for a bespoke ‘lens profile’ to be applied automatically to correct for optical characteristics unique to that one lens. This isn’t possible right now, but we’re told that Canon is working on making it a reality. 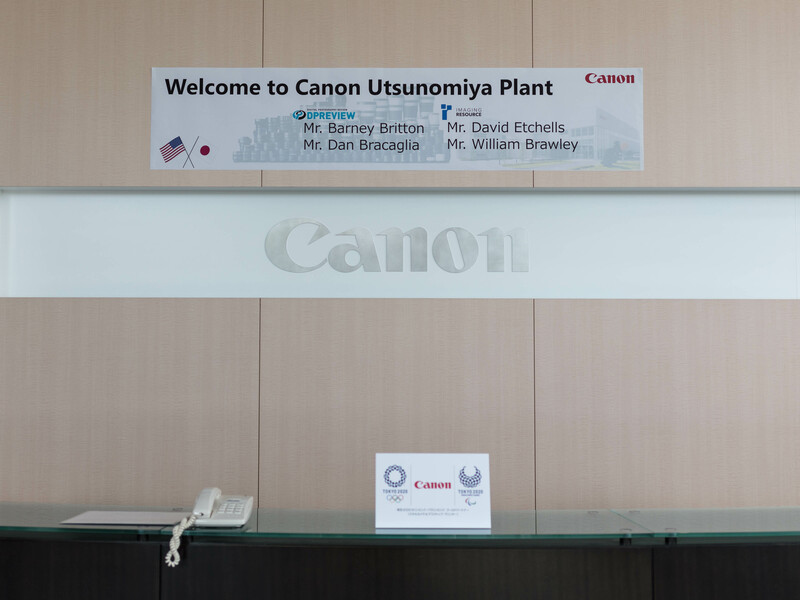 What did you make of this tour through Canon’s Utsunomiya factory? Let us know in the comments.